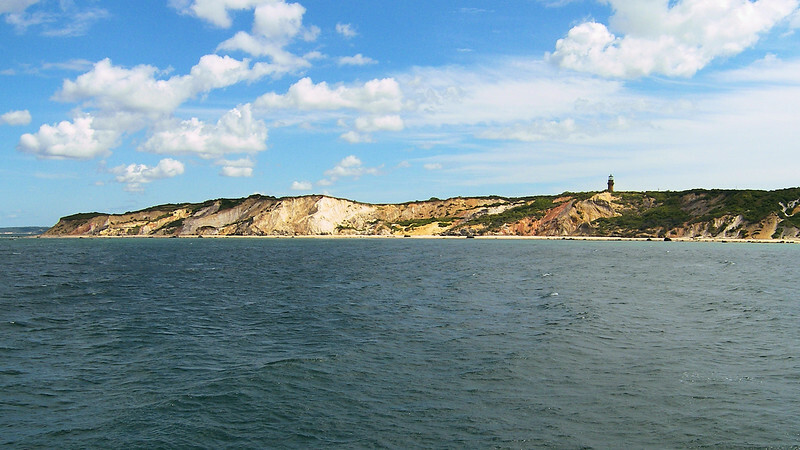 The Gay Head Light is located atop the colorful cliffs at the western end of Martha's Vineyard. Its name was derived from the multi-hued clay found in the cliffside. A request to build a lighthouse was made in 1796 to protect ships transiting Vineyard Sound from the dangerous Devil's Bridge rocks located just offshore. Congress appropriated $5,750 in 1798 to build the Gay Head Lighthouse. The 47 foot tower was constructed of wood and had a stone foundation. Also built at this time was a Keepers house, a barn and an underground oil storage vault. In November 1799 the Keeper lit the spider lamps in the lantern and the Gay Head Light flashed its signal for the first time.